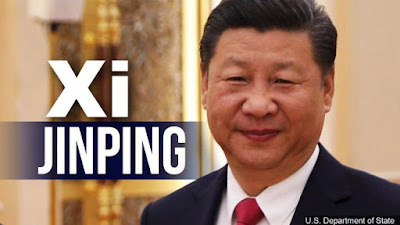 After the historic proclamation of Xi Jinping’s indefinite presidential term-limit approved in the recently concluded National People’s Congress, the current Chinese president may now surpass his predecessors and reshape what the Chinese paramount leaders may have envisioned for China to achieve the Chinese Dream. Since the birth of the Communist Party of China in Shanghai, the ruling party becomes the source of all political power that exudes all the exclusive right to legitimize and control all other political organizations. It alone determines the economic, social, and political goals for the society, mostly controlled by the Chinese elites, who themselves are leaders of the party hierarchy. Last month’s assertion of Filipino President Rodrigo Duterte on sovereignty rights over the islands in the South China Sea, while he single-handedly recognized the nomenclature as the West Philippine Sea before the Chinese-Filipino businessmen, it strikes a resounding review on his external security policy after three biggest reefs in the Fiery Cross, Mischief, and Subi around the Spratly archipelago are obviously manned now by the People’s Liberation Army Navy; cognizant of the shifting geopolitical tussle of major powers in the Indo-Pacific rim. Despite the apparent warming relationship of Beijing and Manila under the Xi-Duterte regimes which can be construed as a bittersweet brotherhood union since the burial of the Sulu Muslim monarch Paduka Batara in 1471 in present-day Dezhou in China; and although Manila houses the world’s oldest Chinatown in Binondo, the giant neighbour still gets the upper hand in today’s China-Philippines bilateral relationship. But as President Xi Jinping acquires more wealth and power, what will be China’s defense relationship with the Philippines? Xi Jinping’s aggressive modernization of the People’s Liberation Army came to be realized for the national reunification of its maritime and territorial islands putting in place Chinese military under heavy pressure in securing the continental country and its border areas. A decision to strengthen the reform of China’s national defense and armed forces were adopted at the Third Plenary Session of the 18th Central Committee of the Party. Under President Xi, China’s defense budget has increased by double digits nearly every year making China the world’s second largest military spender as it becomes proactive in ocean filling and infrastructure building carrying out the Anti-Access Area Denial (A2/AD) and Island Chain strategies. China’s economic prowess will be fully realized by 2050 based on the strong macroeconomic indicators predicted by economic think tanks. Its current strategic rank in the hierarchy of strongest nations was paved way since Mao Zedong dominated the “First Generation” leadership of the People’s Republic of China. Deng Xiaoping and his cohorts defined the “Second Generation” as China opened up its economy to the world. Jiang Zemin spearheaded China’s peaceful development under the “Third Generation” stabilizing China’s post-Tiananmen economic reforms posting a consistent economic growth trajectory. Hu Jintao’s peaceful rise and harmonious society consolidated the “Fourth Generation” considering the “Fifth Generation” manuevered by Xi Jinping who will no doubt lead an army of confident Chinese dreamers. Apparently, the five charismatic and enigmatic paramount leaders of China have led the world’s most populous nation to its Manifest Destiny as it prepares for the party’s centennial celebration by 2049 since the Chinese Communist theoretically founded its latest political dynasty in 1949, transferring the seat of power to Beijing. The Mao-Deng extreme leadership values differ as the first leader laid the ground on political reforms for 27 years while the latter plotted economic reforms for 14 years. Three decades ago, the People’s Liberation Army was considered a boxer suffering from ‘short arms and slow feet’ but its inferiority complex was holistically transformed by President Jiang Zemin by modernizing China’s armed forces, the same period when President Fidel Ramos proposed for the modernization program of the Philippines’ armed forces, fostered by the two leaders’ karaoke diplomacy. Hu Jintao’s concept of the army’s functions goes beyond traditional tasks and embodied the role of armed forces to provide substantial force to ensure the consolidation of the ruling party status to provide strong security backing for China’s development. Aggressively the People’s Liberation Army Navy made a strategic shift from ‘coastal defines’ or land land-focused to ‘offshore defines’ or ocean-focused strategy, a shift that prepared them from safeguarding their shores in the seas off the Chinese littoral to perform a mix of sea and area denials by flexing global power projection that Xi Jingping is on the forefront to make that vision into a mission. Now that China, a new naval power under Xi Jinxing is resurging, the Philippines should not be complacent of the status quo and current asymmetrical bilateral defense with the giant neighbour. China’s domineering attitude can be summed up to Sun Tzu’s wisdom on the importance of self-knowledge and of knowledge of one’s enemies. With the ambiguous security environment especially when external defense provides a severe shock that invalidates prevailing assumptions, it can be construed that most of the time, the Philippine strategy is a reflection of reactive policy decisions rather than a well-defined national security strategy based on foresight and appreciation in the evolving regional and global security landscape.